I was teaching Sunday School to a class of Junior High boys many years ago, and I asked them what they would do if they had a million dollars. The first boy said he would give half the money to the church, and buy his parents a new house. The second boy said that he would give most of the money to the church and buy his brother a new bicycle. The third, not to be outdone, said he would give ALL the money to the church. The first go round, I got the Sunday School answers. The second time around I got the REAL answers. And while the Sunday School answers seemed like the right answers, they made the kids look like they were holy and devout Christians, I don’t think that was what God wants from us. I think God prefers our honesty over our pretensions to looking good. As many of you know, I originally hail from North Carolina. 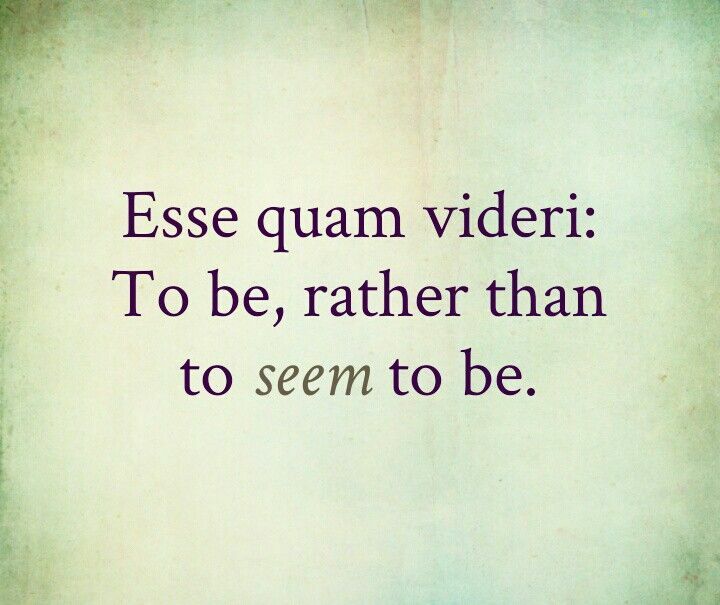 The motto of North Carolina is, Esse quam videri, which means, “To be rather than to seem.” I think that should be the motto for Christians who want to live a spiritual life. What we are is more important than what we look like. Or as one pastor put it, “A secret to the spiritual life is desiring to be more spiritual than you appear to be. The secret to hypocrisy is desiring to appear more spiritual than you actually are. Above all things, God desires our honesty. Jesus made that point in today’s Gospel lesson. A man has two sons, and asks them, each in turn, to go work in his fields. The first says, “No way, old man!” but he thinks better of it, and he goes and works in the fields. The second son says, “Of course I will father,” and but he ends checking his Facebook page first, and there are some interesting things on there, and he gets caught in that, and does not go work in the fields. Now this is one of those stories we need to put in its historical context to really understand the point that Jesus is making here. It seems pretty clear to us. If you say you are going to do something, than do it! As a parent I can relate to this story. “Will you take out the garbage?” “Of course I will!” and then twenty minutes later, the garbage is not taken out yet. The people who actually heard Jesus tell this story experienced it a little differently from how you do though. Listen to what Jesus asks at the end of the parable; “31Which of the two did the will of his father?” Now for us, the answer is easy, but that was probably NOT the question that people of Jesus’ day were expecting to hear. They were probably expecting to hear something more along the lines of, “Which son did the best job honoring his father,” to which the obvious answer is the FIRST son—yes, the one who said he would go, but didn’t. You see in Jesus’ day it was important to show honor to certain people—your parents, your teachers, town officials, religious leaders. To say “No” to a request to their face is to dishonor them. I would run into this when I lived in Alaska. In Inuit culture they had roughly the same kind of values. You disrespected someone if you publicly turned them down. So, for example, say I was with a group of people, and said, “Dan, can you take me to the airport tomorrow. I need to catch a plane at 1:00.” Dan is pretty obligated at that point to say yes, even if he knows that he is not even going to be in town. Now what you are supposed to do in this situation is to say something like, “I’m going to need a ride to the airport tomorrow. Around 1:00.” Eventually someone will speak up and say, “I can get you there.” And you have your ride. If you ask someone directly, you are putting them on the spot, and if you don’t get a ride to the airport, well, that is your fault for asking the wrong way. Are there things we honor with our mouths, but not with our actions? I heard a story of a pastor that when to visit a woman, someone who had not been to church in a long while, and she was saying that while she was not a faithful church attender, she was a faithful person, and turned to her son and said, “Bring Mommy that book that we all love to read from so much,” and the boy returned, not with the Bible, but with a TV Guide. Now Jesus is not interested in saving face. He does not put honor above actions. He is more interested in saving lives and saving souls than in saving face. God wants us to BE rather than to SEEM, even if being is not quite what we want to look like before God. Now here is the great irony of Church. On the one hand, this is the place where we should be most able to be ourselves. On the other hand, often this is the last place where we feel like we can really be ourselves. But when Jesus said, I came that you might have life, and life abundant,” he did not mean that we are supposed to have somebody else’s life! He wants us to have our life, the life he gave to us, he wants us to be who he created us to be. Now Jesus says something really interesting after he tells the parable; “Truly I tell you, the tax collectors and the prostitutes are going into the kingdom of God ahead of you.” Now for the average person in Jesus’ day, those were the LAST two people you would expect to see in the Kingdom of God. Yet Jesus says that they have a better chance than the Pharisees. Why? Because they were not hiding behind a mask. God was able to see them for who they really are. They were who they were, even if the reality of who they were was not all that pretty. Let me explain what I mean. We all have what psychologist call a social persona. That is the person we are in public. And that is often very necessary. We don’t just let it all hang out in public. You meet a casual acquaintance and ask them how they are doing, we all know that you are really not asking them to share the deep secrets of their hearts. There’s nothing wrong with this. But then we have a private self. That is who we are when we are amongst friends, close friends, and loved ones. That is when you take the public mask off, and you can relax and just be yourself. Your spouse, and your close friends probably see a side of you that the general public does not see. One year my mother in law was visiting me during the NCAA basketball championship, and Duke was in the championship game. We watched the final game together, and after the game she said, “You know, that’s a side of you I have never seen before.” Now it’s not like she saw me cuss and throw things in anger. But she saw more excitement in me that what I generally show. I did shout a bit, and I fretted when the score was close, and I might have even danced around the room a bit when Duke won. Now here is the difference; she didn’t see a DIFFERENT me, she just saw MORE of me. There is a difference between holding things back in public, and being a completely different person in public. That is called hypocrisy. 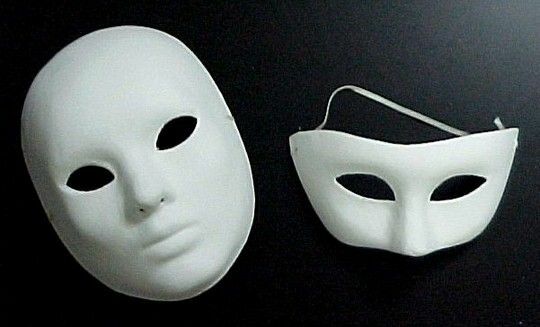 A hypocrite is literally an actor who wears a mask. Who they are and who they pretend to be are two very different people. There is little or no connection between the two. How many of you remember Leave It to Beaver? Remember Eddy Haskell? He was the kid who was always so polite when he was around parents, and a total brat when he was with his friends. That’s hypocrisy. He wore a mask of politeness when he was talking to the Cleavers, but in private he was a totally different person. God accepts us for who we are. We don’t have to pretend to be different. We meet someone, we put up a façade; that is normal. But as we get to know the person, we drop the façade, so they get to know who we REALLY are. If we don’t drop the façade, then they never really get to know us. And if they don’t know us, then deep down, if they like us, we know that all they really like is the façade. I have counselled husbands and wives who both held up facades for years, and eventually they realized they were not loved for who they were, they were loved for who they were pretending to be. And who we pretend to be is NOT who we are. So here’s one piece of Good News. Before God, you can be who you really are—no matter who you really are. God accepts us for who we are. Before God we can take all the masks off, and be real. I love the part in the movie Bruce Almighty, where Bruce has a face to face encounter with God, and God encourages him to pray. Bruce says something like, Dear God, give us world peace and feed all the hungry people in the world. And God reaction? “That’s a good prayer…if you want to be Miss America.” And then Bruce prays a real prayer, he prays what is one his heart, and when he prays THAT prayer, it changes his life. Sometimes we have to put on a false front for others; we never have to do that with God. God loves and accepts us for who we are. Jesus said that Tax Collectors were closer to the Kingdom of God than the Pharisees. On the other hand, we can improve who we are. We call that growth. I am not who I was when I was fifteen. Or twenty-five. Or thirty-five. I am not who I was when I was forty-five. I hope I have gotten better over the years. I hope I have grown. I hope that, in spite of my age, I am still able to mature. Whether you are five, fifty-five, seventy-five, or a hundred and five, there is always room for growth. I know of no perfect people. I have been a Christian minister for upward on twenty years, and I still have plenty of room for spiritual growth. As I get older I see parts of myself that I could not see when I was younger. Some of you know I play a little golf—and I play very badly. I used to get really frustrated when messed up shots, which was most of the time. Still is. But now I have learned to laugh, and I enjoy the game more. I said that God accepts us where we are, but God does not leave us there. Yes, God accepts tax collectors and prostitutes, but God does not leave them where God finds them. They do not have to continue to rip off friends, or sell themselves to the highest bidder. God does not want our lip service. God does not want us to put a great performance for his pleasure. God does not want us to put up a false front. God does not want our sentimental notions of what it means to be a good Christian. We don’t need to act spiritual before God. It doesn’t work. If we act like something we are not, before God, God can never really get to work on molding us into the people God created us to be. God gave us our personality, with all the foibles and flaws we carry, and God can use THAT for the Glory of God, for the Kingdom of God. God wants our hearts. God wants our love, meagre as it is. God wants us to be, not to seem. This entry was posted in ministry, spirituality and tagged Being, Christianity, discipleship, God, Gospel of Matthew, Jesus, Parables. Bookmark the permalink.